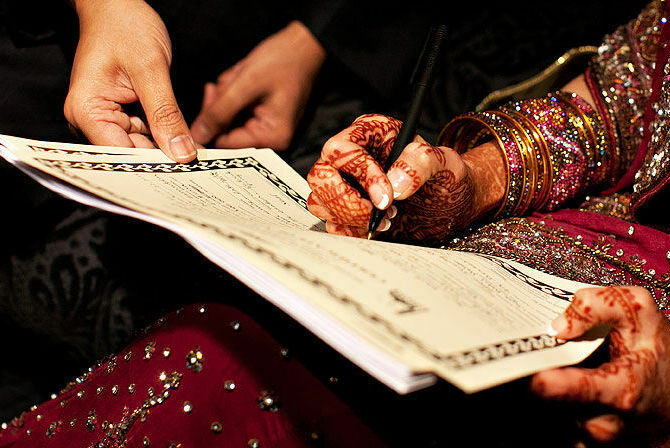 Mahr in Islam (also transliterated mehr, meher, maher or mehar) is an important Right of a wife, which becomes the responsibility of the husband to pay, soon after the Nikah, even if it is not mentioned in writing. 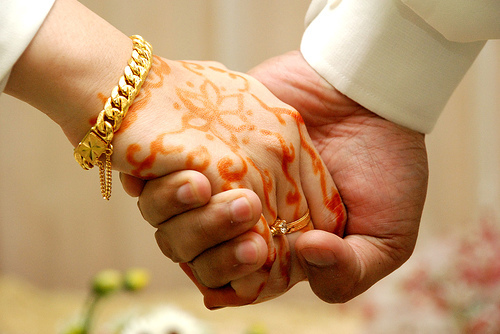 It is one of the 7th essential conditions for a valid Nikah. “It has got two meanings. One is “Fix their Mehar before Nikah and Dukhul adds that no Nikah is Halal except by the fulfillment of this condition. The other’s sense is “pay their Mehar in full or part” and adds that Dukhul is not Halal unless this condition is fulfilled”. The meaning of Dukhul is retirement of spouse to a place where they may have an opportunity to establish sexual relationship, at a place where the doors are closed and the curtains are drawn. The Qur’an has pointed out three things in this Ayat; Mehar has been called Saduqah instead of Mehar. It has been called Saduqah because it regards man’s relation Halal. Interpreters of Qur’an say; Mehar has been called Saduqah because it is a sign of Im’an. “Haniyan Lak’a al Nafijah” -‘Congratulations on the foundation of wealth’. Allah has ordained that you should pay Mehar to your wives in lieu whereof you have legitimized sexual relations with them”. “Allah would forgive every sin but He would not forgive the person who has usurped the Mehar of his wife”. Fuqha (Muslim Jurist) have made this point clear that after Nikah a woman is not Mubah (legal) to the husband unless her Mehar is paid to her. Ali al Murtaza explained that without fixing an amount of Mehar no Nikah is Halal. Alas the actions of the Ummah in regard to Mehar are simply conjectural. Majority of the husbands don’t follow this clear injunction of Qur’an regarding this very important Right of Wife. In Nikah, if no Mehar is specifically fixed and if the husband gives Talaq to his wife before the Dukhul, he is not liable to pay any Mehar whatsoever, nor is his estate liable to pay any Mehar if he dies prior to the Dukhul. If the Mehar is specifically fixed at the time of solemnization of Nikah but if husband pronounces Talaq, before the Dukhul, the wife is entitled to half Mehar, but if he dies before the Dukhul then his estate is liable to pay full Mehar which has been fixed. (“Da’em ul Islam”, vol. No. II, Syedna Qazi al Numan, Egypt). After the Nikah and before the Dukhul, wife is entitled for half of the Mehar, which was fixed at the time of Nikah. If before Dukhul wife commits Zina, she is not entitled to any Mehar whatsoever even if the Mehar was specifically fixed. An excessive amount of Mehar is sort of protection from Talaq & kind of undue pressure on the husband. Above mentioned approaches are incorrect. In fact, motivations are not fulfilled by fixing excessive amounts of Mehar. The sum total of the Talim of Islam is that the amount of Mehar, which a husband pays willingly and gladly, is alone the cause of love. “The best girls of my Ummah are those who are beautiful and whose Mehar are of fewer amounts”. (“Wafi”, Kitab-un-Nikah, page 15, Beirut, Lebanon). This means that despite being beautiful the less amount of Mehar is a sign of eminence and excellence of a woman. The best example of Mehar is certainly the Mehar of Syedah Fatemah. Rasulullah (SAW) inquired from Ali Ibn Abi Talib as to what he has for the payment of Mehar of Fatemah? “Sword and horse are essential for Jeh’ad, but the armour might be sold out to arrange for the payment of Mehar”. The armour of Ali was sold for four hundred eighty Dirhams and payment of Mehar of Fatemah was arranged. 160 Dirhams for fragrance (Attar). 066 Dirhams for house-hold goods. 094 Dirhams to be saved. Two quilts or beddings out of which one was stuffed with the wool of a sheep and other one was stuffed with leaves of palm tree. One pillow made of sheep’s skin stuffed with grass. (“Masnud”, by: Ahmad b. Hanbal, Vol. No. VI, pg. No. 207, Egypt). “Barakallah Ley Ahl al Bait”- ‘May Allah blessed Ahl al Bait, Bless this couple, whose property are these few utensils’. This magnificent Nabavi Tradition is a shimmering example for the coming generations that less Mehar of high-caliber-lady is a sign of blessings. Huge amount of Mehar often create obstacles in the opening phase of marital life and this causes decrease in love and sincerity. Demand of high amount of Mehar also discourages young men for late marriages. 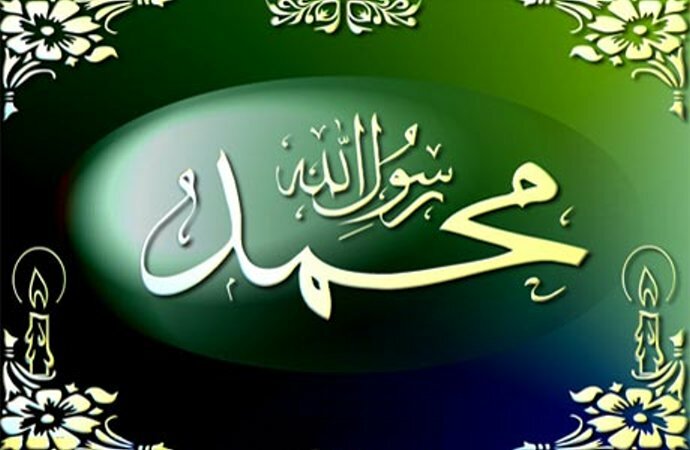 The golden example of Mehar of Fatemah has set a precedent that the Canon Source of Islam does not consider it better to demand an excessive amount of Mehar. Contrary to the Talim of Islam, people proudly say that our daughter’s Mehar has been fixed in million or billions. Such an excessive amount of Mehar is like a sin without any pleasure. Islam persuades the youngsters to enter into the wedlock as early as possible, so that the society may be saved from illegitimate-sexual-association. It is a Talim of Islam that the amount of Mehar should be such that could easily be borne by the husband. If Rasulullah (S) wished, he could have spend lavished on her daughter Fatemah’s wedding, but by his action he set an excellent example for us that when the Muslims get their daughters married, they should remember the weeding of Syedah Fatemah. “Nikah is a contract according to which the husband would keep his wife with good manners, and whenever he terminates the contract of Nikah, he should so do with kindness”. From the point of view of Islam, Mehar is an important matter. In the Qur’an, which is the primary source of Religious Injunctions this matter has been clarified at several places and Mehar has been defined as Wajib. “If you have made up your mind to bring another wife instead of the present wife, then you should not take back the amount of Mehar, which you have paid to her. Would you take back that amount by way of accusation and allegation, which is an open sin. And how would you take back the Mehar, although you have derived pleasure and those women have also obtained firm promises from you? The practice of snatching the Mehar at the time of Talaq is an act of a perfidious person. Islam has severely condemned this act. After enjoying with his wife, and spending much time with her in privacy, it is a cruel act. If by means of force or by any pretext the wife is made to forego her Mehar, then whatever the Court’s decision might be, it would not be considered exempted in the Court of Allah. Even Ibr’aa is not permissible by Force. Ibr’aa is a term of Fiqah, which means that if a wife after receiving the wealth as Mehar returns it to her husband, it is called Hibah and if she forgoes it without receiving it, it is called Ibr’aa. It is the duty of the Muslim Scholars that they should explain the importance and forcefully try to eliminate these evil practices regarding the Mehar. The woman and her relatives who demand lots of money as Mehar have been described as unlucky. Every husband should pay Mehar to his wife according to his financial status, sincerely before Dukhul. It is the Talim of Islam that wife should not demand an exorbitant amount of Mehar, which is literally beyond the limit of her husband. Majority of the Seminar Organizers on Women’s Rights are those who don’t know the ABCD of the Women’s Rights, provided by Islam. These Ignorant Friends of Women always prepare the grounds for more exploitation of women. Their restricted spheres give the colonialist valid and ample excuse to condemn Islam and tell women: “This is the Islam you have, it gives you no honour, position or status”. This group practically encourages the foreigners to misled Muslim women. It is my sincere advice and recommendation to all women and Muslim Women Rights activists that they also invite Competent Religious Scholars in their programs, and time to time gatherings to discuss and explain issues for the benefit of women and explicitly explain about their rights, bestowed by Islam. Intelligentsia, especially Media constantly discourages the positive contribution of the Genuine Religious Scholars on Women’s Rights. If the responsible people of the Media refrain from encouraging positive approach and constructive understanding, masses will not change their negative attitude towards the Rights of Women. Immediately on the conclusion of Nikah, whatever has been fixed as Mehar becomes the property of the wife. If it is a piece of land, a house or a sum of money, its benefits accrue exclusively to her. Only with the wife’s consent it can remain in the custody of the husband and the benefits accruing from it can be utilized for conducting their common life. Mehar is a sign of honour, in consideration of women’s personality and independence, and not as her price to be paid to her. This Divine Gift conferred by Qur’an, established woman’s economic independence, since it is considered as worthy of proprietorship.